Hiking In Heels: Where did you go in Thailand? This is a question that I am being asked a lot, so thought it might be something that you guys are interested in too - as if you are planning a trip, it will let you know what kind of things you can fit into your time frame. Something which I had no idea about before I left England. But if I were you, I'd forget the planning and just go with it. In two weeks, I traveled from Bangkok on the night train, to Chaing Mai. Once we were in Chaing Mai, we spent one night in a Guest House called HK House II, which you can check out on Trip Advisor. We then had the challenge of our two day trek, so we needed to leave our bags somewhere. Most hotels/hostels/guesthouses are happy to leave your bags with them for a fee though. So when we asked our guest house how much it would be to do this, we were pleasantly surprised when they said we could do so free of charge and then have a shower, etc... when we came back for free too. This honestly was turning into my favourite place very quickly. The hotel manager even shorted out our bus tickets for us and took us to the bus station, ready for our night bus all the way back to Bangkok. After our night bus, we then had a flight to catch from Bangkok domestic airport to Phuket. It was only a short flight, which I slept through most of and then we were soon landing. TIP: When you arrive at the airport and need to get to the ferry dock, don't worry about buying a bus ticket, they will make you wait until they have 10 people to fill the bus before they leave - which could take hours. Just pay for the Taxi and get to the terminal before the ferry leaves without you. Once you are there, you need to buy your ticket, if you haven't already - you will then be given a sticker for yourself and a sticker for your bag. Make sure you put the one on your bag, because they only take the bags that have the stickers on off of the boat in the right places. When we got on the boat, I wasn't too keen on where they were storing them. However, we got on and off the boat fine and with our bags waiting for us on the pier. These guys, although it may not seem like it, do have some idea of what they are doing. We then spent a few nights in Phi Phi, where we partied at the half moon party and went on a snorkeling tour of the Phi Phi islands - including Maya Bay, Monkey Island and swimming with sharks and turtles. After Phi Phi, it was time for some R and R. We hadn't stopped for agesssss and just, well done nothing. So we booked a 4 star hotel (which was on offer with 80% off) and spent a day around the pool in Krabi. The hotel was slightly secluded, so we made our way back to Ao Nang, which has a lot more going on and is a great base if you want to get to the Islands (Phi Phi, Railay, etc...), most of which are all featured in films. Here we stayed in Full Moon House and Resort. 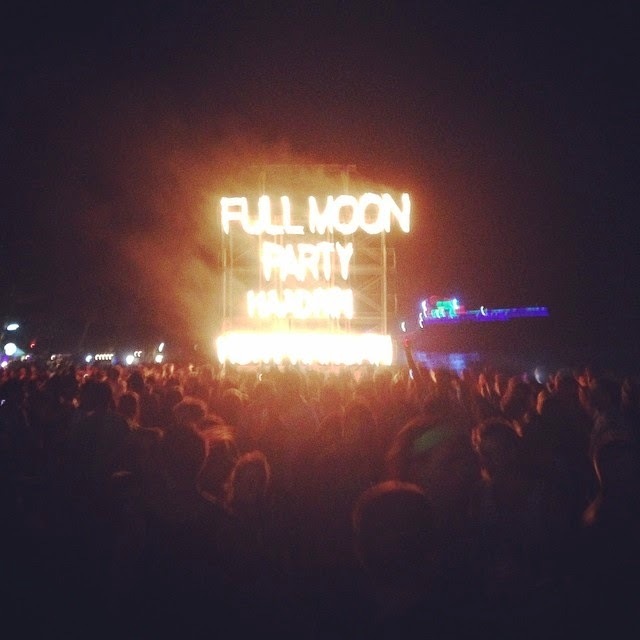 Don't be fooled by the name, this isn't a party destination. The hut was lovely, really quiet and the rooms were gorgeous. The couple that owned the resort gave us such a warm welcome too and even booked our bus tour for us the next morning, so that we had enough time to make our way over to Railay Beach. Railay Beach was beautiful and if you make your way over there for the day or even the week, only buy your ticket for the way across - so then you can buy another ticket back at any point in the day without having to find the right boat again. After making our way there and back in the morning, we jumped on our bus to Surat Thani, ready to catch the boat to Ko Samui. We arrived in Koh Samui and stayed in another new resort - this one for a few more days than any of the others. This was called Samui Beach Resort, which again was great - but it's definitely not the second life and soul of Sumui people say it is. If you want to Party, then you need to be in Cheweng and if you are in Cheweng then you need to make a trip to the Ark Bar and if you have the money, stay there too. This is the longest place that we stayed our entire trip and is perfect for families as well as younger people. If you wanted to, you can still stay here and get a Taxi around to Cheweng too, which is what we did while we were there. 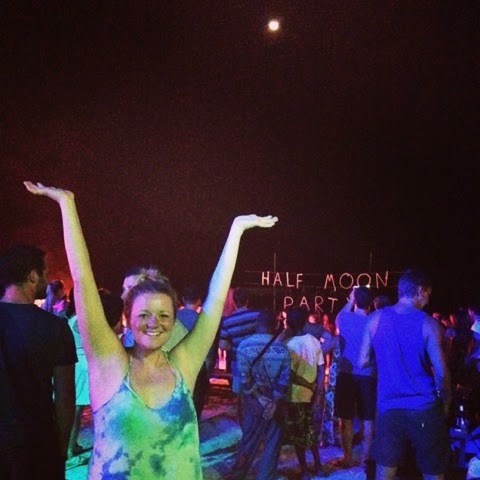 Our next stop, was Koh Phangan where you guessed it - we went to the full moon party. There aren't many photos of our time here, because Holly had her phone stolen. 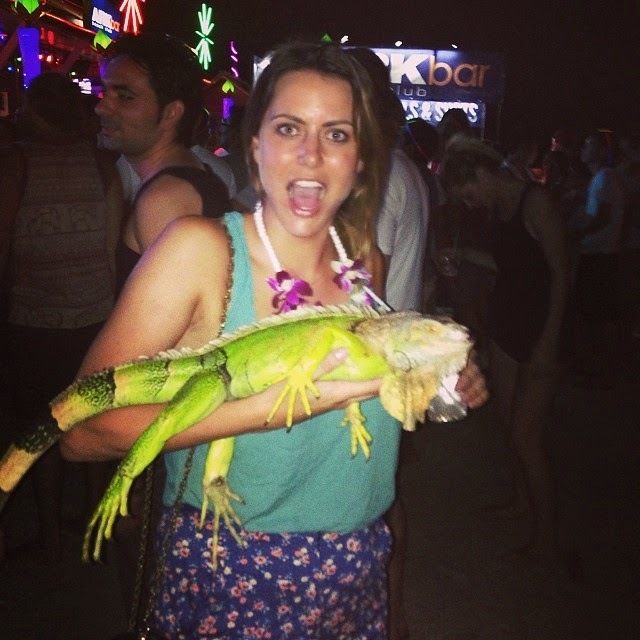 After the Full Moon party I had managed to lose Holly, finding her again just after our boat had left the Island. So we booked ourselves onto another boat, which got us back just over an hour before our flight was due to leave. We then needed to get to the airport asap, so we didn't miss our flight. Jumping in a Taxi, we said we needed to get there fast - but safely. 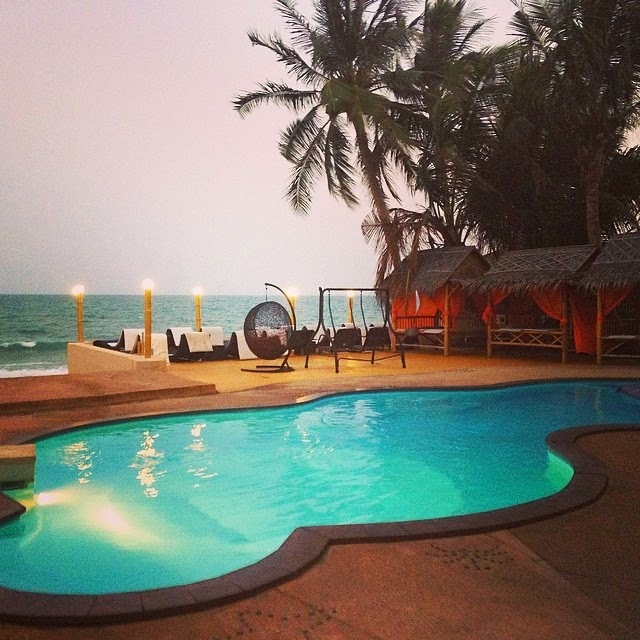 TIP: If you are planning on going to the full moon party - I would stay here, the hostel (if not the owner) was awesome. However, this wasn't going to be the way things planned out. The car we were travelling in crashed and we thought we were about to die. The car spun into the on coming traffic, after being hit on the rear left hand passenger side - exactly where I was sitting. We were also on a bridge, so there wasn't a lot saying that we were about to make it out of there alive. Luckily we did, but both cars, on inspection, were right offs. The car was still driving with lots of creaking, scratching and scrapping all the way to the airport and we thought it was probably going to blow up on the way there - especially as the petrol tank had taken a good hit. During our whole time in Thailand, this was probably the dumbest thing we did. Nothing is worth putting yourself at risk like this, not even missing a flight. Our flight back, wasn't a comfortable one - my bum was slightly grazed from the accident and my back (after fracturing it in the summer) wasn't at its best. There was also the added worry of the Malaysia Airlines flight having just gone missing over the Thai Gulf. We knew that this was being taken pretty seriously at the time as a high jacking, as the Thai Navy's presence in the Gulf was huge. As we arrived in Koh Samui their were five Navy ships sitting in the waters. Finally, we made it back to Bangkok safe and sound, ready to fly home the very next day and as much as I love travelling, I was definitely ready to come back home. All in all, I have just worked out (roughly) that after 6 flights, 5 trains, 3 buses and a car crash - we travelled an average of 19,000 miles in 2 weeks.